Micro and Nanotech, Innovation, Consulting, Technology Transfer, MEMS, coating. TRUSTECH positions itself on the marketplace of technology consulting services with a great capability in terms of connecting the business world with scientific research, this being contributed by Polytechnics, Universities, Research Labs and professional researchers. TRUSTECH stays side by side with its client companies throughout the life of an innovation project: from the initial research of necessary competencies through to the making of the team, the determination and control of costs, quantification and realization of benefits. We put much care in planning required activities, in implementing pragmatic means and measures, in searching for investments and potential investors, in intellectual property rights and in problem solving. TRUSTECH relies on an excellent Scientific Network whose parties have been carefully selected on the base of their ability to support the required technological solutions as well as on their highly qualified staff. 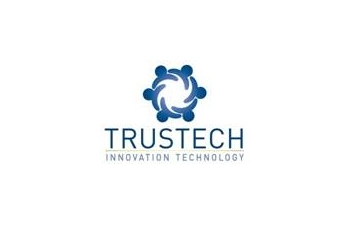 TRUSTECH is the ideal partner in terms of governing the entire innovation project, thus increasing the safety of the investments put towards technological innovation. TRUSTECH speeds up the implementation of such projects, thus anticipating their return on investment. Trustech besides is a fabrication facility able to support enterprises and research centers engaged in industrial implementation of micro and nano technologies. In its 100 and 1000 class cleanroom, Trustech develops custo-tailored micro/nano technologies and devices from the design to prototype and manufacture in small-medium volumes. Part of the cleanroom is dedicated to the validation of devices developed for biological applications. This ISO 6- 1000 class cleanroom area is equipped with a biohazard hood, an incubator, cell line preservation systems, an inverted optical microscope and all accessories needed to validate bio-MEMS. This peculiar capability makes Trustech a unique partner for innovation and R&D.